When I descended from my second train connection in less than 2 hours, ready for one more stop before Celle, the destination of the day, I was not sure where exactly I am. 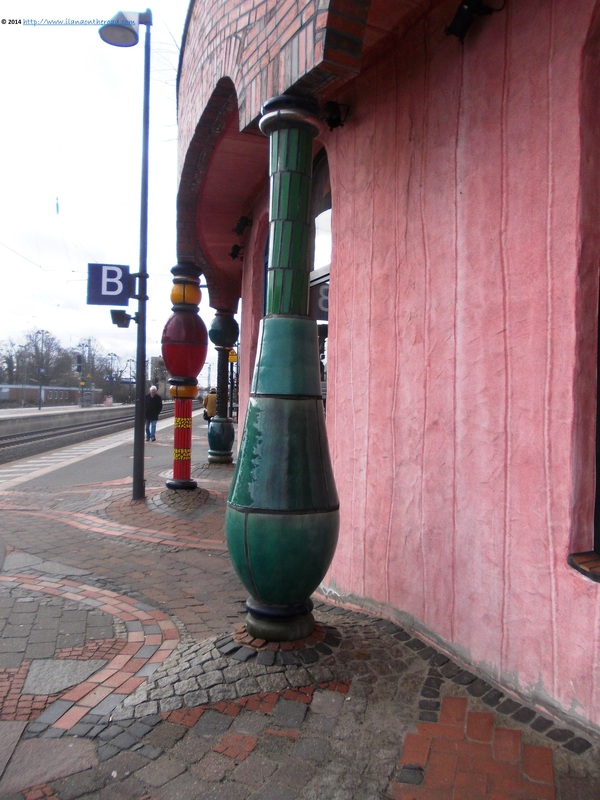 On the other side of the platform, I saw a pinkish rabbit hole kind of entrance, on my side, colourful columns. Was I in the middle of a shooting for a sci-fi or story tale movie? I was in Uelzen, after all, a name I was still trying to spell correctly and whose existence I completely ignored till a couple of minutes ago. I am courageous though, and decided to use my 30 minutes of waiting investigating what's up with this curious train station. 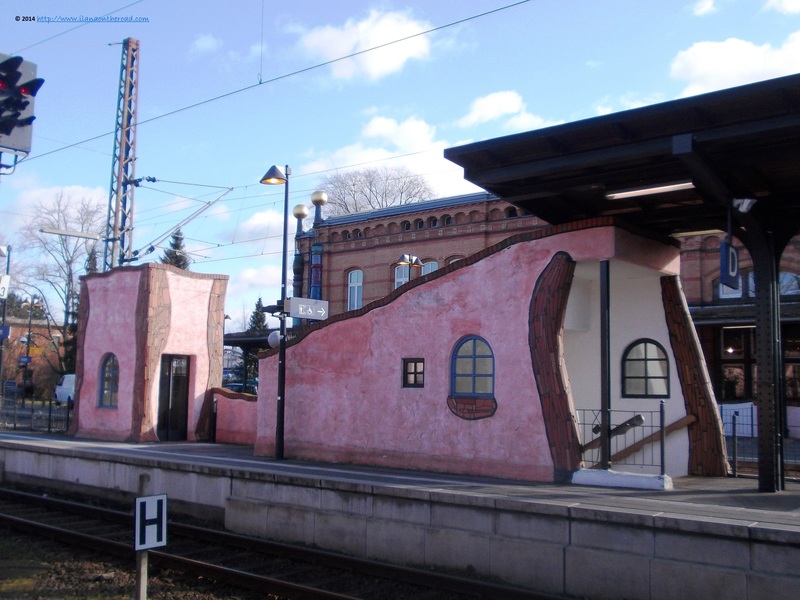 The surprise moments passed, I find out that I was familiar with the style and a short historical mention on the walls proved that I was right: the train station is just another work signed by the extravagant Austrain painter and architect Friedensreich Hundertwasser. Inside the station, the space is used for various Deutsche Bahn and tickets facilities, plus a small shop selling pastry and publications. There is also a big souvenir shop, with postcards with colourful corners of the station and various history books in German, but also an upper level exhibition space, that can be accessed via a snail staircase. Every day, at 11 o'clock, there are guided tours around the station, explaining the history and the meaning of the project. 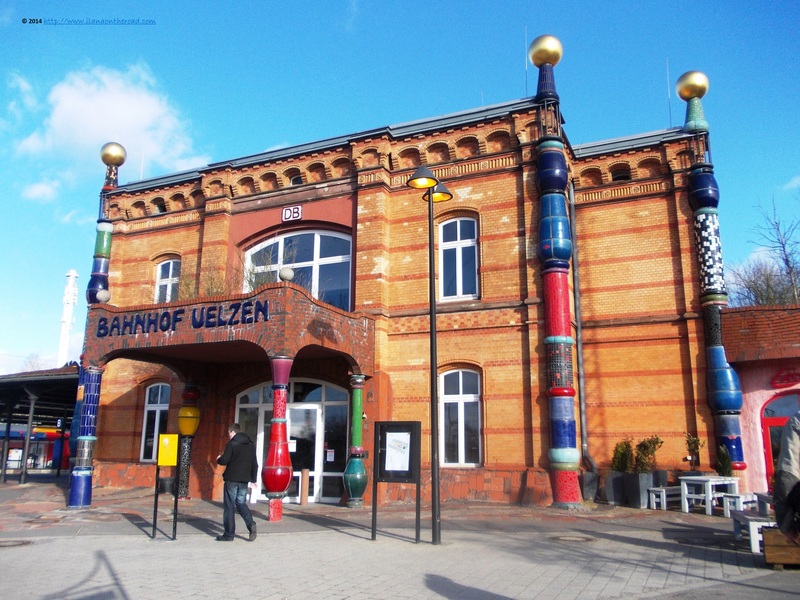 Situated on the busy trade line Hannover-Hamburg, the first train station of Uelzen was inaugurated at the end of the 19th century. 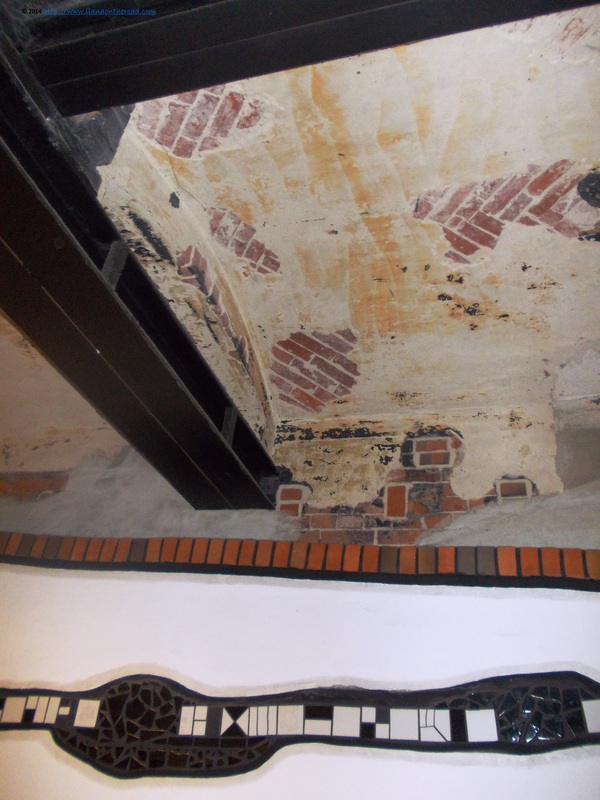 During the war, the station was heavily destroyed and went through different stages of reconstruction and renovation, some of them still visible in some remote corners of the station. 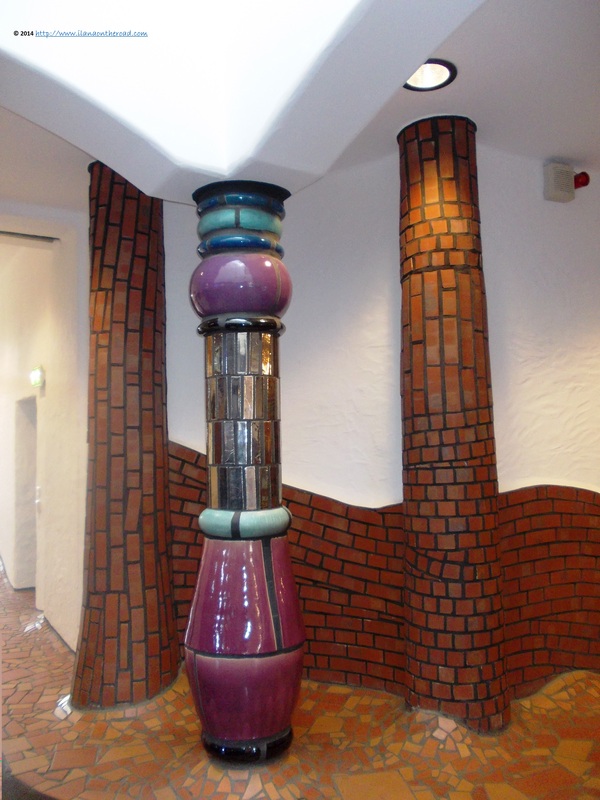 The embellishment projected by Hundertwasser was made on the occasion of the Expo 2000 Hannover and since then, is one of the main local tourist attractions. I toured the station, outside in and inside out, and I couldn't have enough of the surprising shapes and combination of colours. The majority of small stations where I needed to wait my connection were boring, sometimes dirty, without any trace of life except broken glasses or cigarettes buts and without any joy at all. Uelzen made me feel good and joyous, despite the early morning and the exhaustion from the jogging from a train to another. And when my train to Celle finally arrived, I felt that, for the first time in a while, I should enjoy my time waiting for my next train. 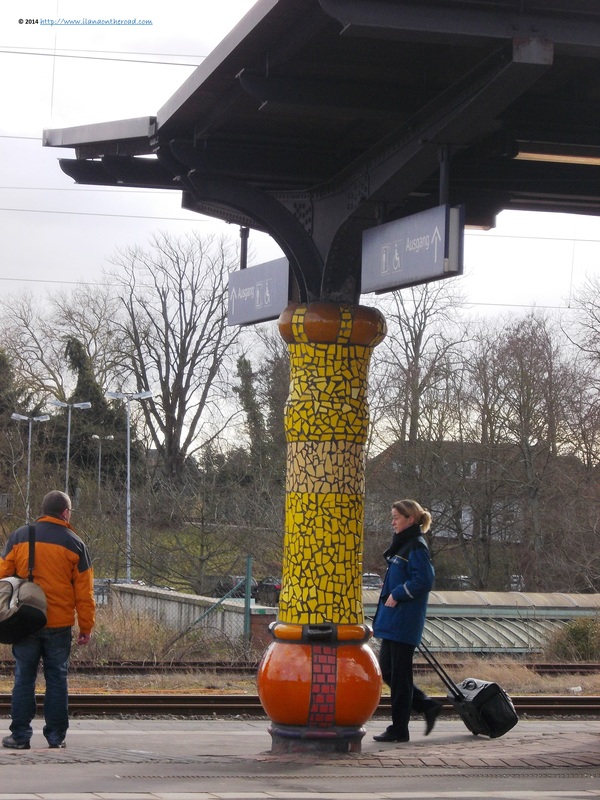 Wish more stations in Germany and elsewhere decorate their central stations creatively and colourfully as Uelzen.